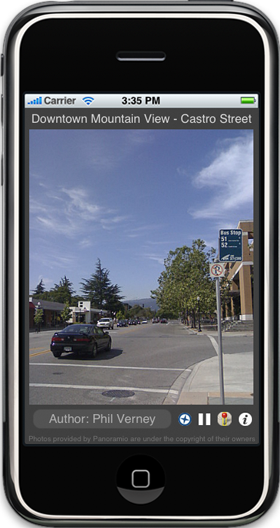 NearPics is a simple, fun app for the iPhone & iPod Touch that lets you easily see some photographs taken near to where you are right now. As soon as you load up NearPics, it gets your location using the iPhones unique location based services, and uses that to instantly find photographs taken near to your exact location (using Panoramio.com). NearPics is great fun when you’re on holiday somewhere new, or even just when you’re in your home town, to see photos of places you might never have known about! And when you’ve found an interesting photo you can even find out where it was taken using the iPhones maps application. NearPics is available on the App Store for free! Just click here. Click here for NearPics support. You'll notice the site is ad free, and most of our iPhone apps are free too. We'd love to keep it that way. Students don't earn much, so if you'd like to help out, click here to find out about donating. If you'd like to contact us about anything from our iPhone apps to our blog, e-mail us here.